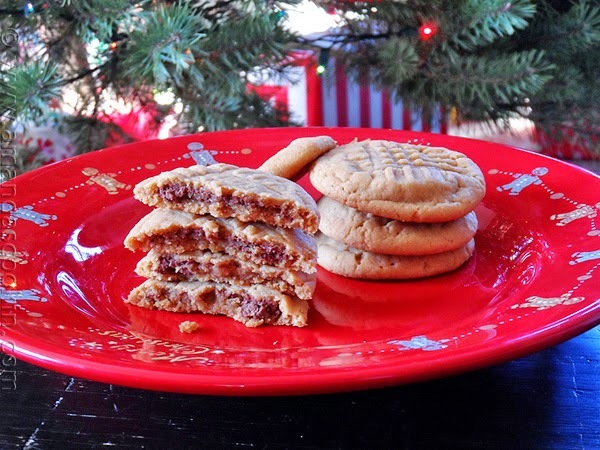 Peanut butter cookie lovers: get ready to have your minds blown! Have you ever considered making a peanut butter cookie filled with Nutella? Amanda from Amanda's Cookin' did. "I was inspired by several cookies I’ve seen around where a peanut butter mixture is rolled inside a chocolate cookie," she says. "I decided to do the opposite and use my peanut butter cookies stuffed with a Nutella mixture. the results were amazing!" If you love peanut butter, but love Nutella even more, these just might be your "go to" cookie for the bake sale.